Can’t decide on the perfect gift? 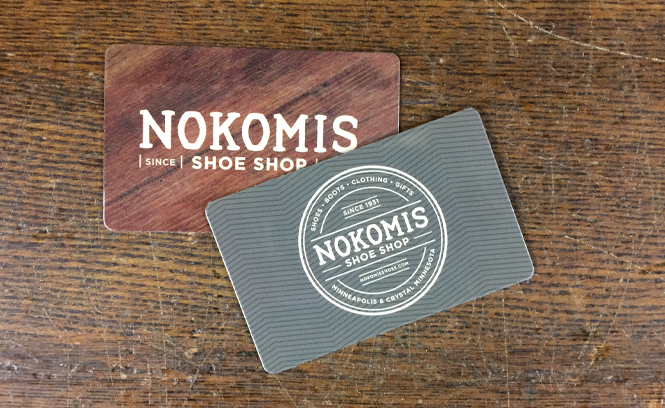 Whether you’re shopping for a family member, a friend, or that someone special, choose a fast and easy Nokomis Shoe Shop Gift Card. The Gift Card will never expire or lose value. Plus, we will send it for free.